Every fall, when the leaves start to change and the air turns crisp, the music moves inside to the warmth of The Barns at Wolf Trap. 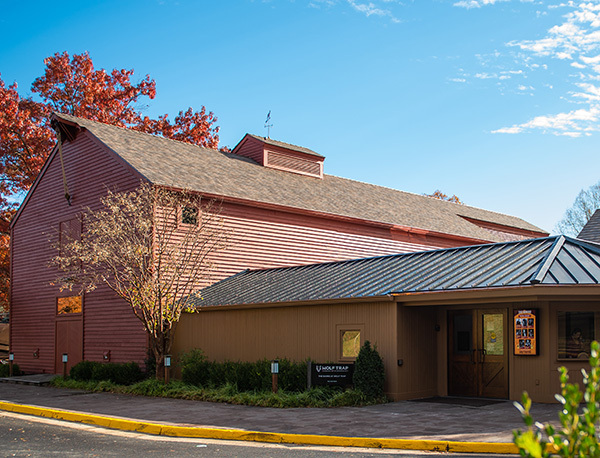 Originally built by colonial Americans, The Barns were donated in 1981 by Wolf Trap’s founder Catherine Filene Shouse as a gift for local arts lovers to enjoy diverse and intimate performances. Today, The Barns showcase hundreds of incredible artists each year and their hand-hewn timber walls hold centuries of memories. Impressed by the acoustic qualities of a wooden barn, Mrs. Shouse hired renowned architect Richard Babcock in 1980 to find and relocate the two barns to Wolf Trap. The Barns venue is actually made up of two historic 18thcentury barns—the larger German barn built in 1731 and the smaller Scottish barn built in 1791—which were moved from upstate New York to Virginia. Each barn was rebuilt on its present site in 1981 using the traditional gin pole and pulley and block and tackle method, while the boards of the walls were reversed to showcase the dramatic impact of 200 years of weathering on the interior. The Barns were then refurbished and refined to realize extraordinary acoustics and superb performances. As you stroll up to The Barns this season, you might notice a few changes starting with the new red exterior that highlights a traditional barn experience. Thanks to a partnership between global architecture, design, and planning firm Gensler and well-known general contractor L.F. Jennings, we’ve given The Barns a refreshed look and feel. As you move inside, you’ll find upgraded interior areas and modern amenities that are infused with The Barns’ historic essence all culminating with an enclosed atrium designed to view the stars above. Early in the planning process, Wolf Trap and the Gensler design team—with project leads Jordan Goldstein, Carolyn Sponza, and JJ Rivers—recognized the need to highlight the unique identity of The Barns. Rivers, Architect and Associate at Gensler, shared, “We knew our design should not detract from The Barns—it is the performance venue that we wanted patrons to be focused on. 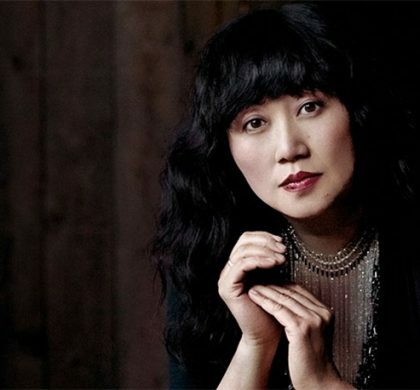 That is the most wonderful thing about attending this venue—the fact that you are sitting in an almost 300-year-old-barn, watching performances.” For this reason, Gensler concentrated on renovating and modernizing the connecting spaces rather than impacting the original and historic architecture of The Barns. Whether you’re visiting The Barns for your first performance or you’ve been a longtime Wolf Trap aficionado, we hope you take a minute to explore the changes and take in the magic that is The Barns at Wolf Trap. Using the traditional gin pole and pulley and block and tackle method, the German barn and Scottish barn were rebuilt on their present site in 1981 to create The Barns at Wolf Trap. 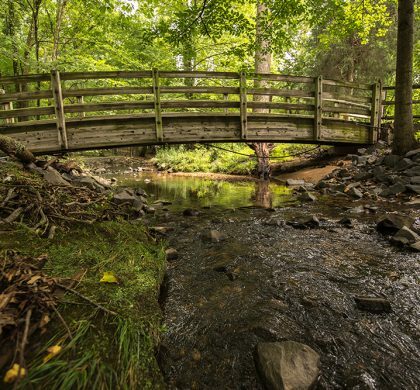 Photo by Wolf Trap Foundation. The Barns upgrade is made possible by a generous gift from Dan and Gayle D’Aniello.